While we were off holidaying through Bohemia, I didn’t really get a chance to do much fabric or haberdashery shopping. There are tons of fabric shops all over Budapest, but we were definitely more concerned with the street food and thermal baths while we were there. In Vienna I really meant to stop in at Komolka and Stoff und Faden (thanks, Shannon! ), but we were short on time and all I could manage was a peek through the windows of the latter while they were having a class at night. I didn’t see anything sewing-related in Prague, but I spotted a few fabric shops in Berlin along the marathon route (sadly, not really the time to be stopping to shop! ), so my lone sewing souvenir this time around was a copy of the latest Burda Easy magazine, which I was happy to pick up! 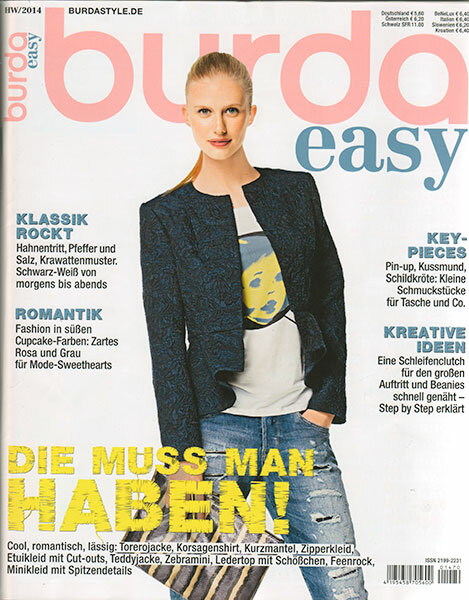 If you’re not familiar with Burda Easy, it’s published twice a year in several languages (German, French, English, Italian, and Russian, I believe? ), and has fully illustrated instructions. Sometimes the designs are simpler, but in this issue they’re happily on the more advanced/interesting side and not too difference from what’s in the monthly magazine. 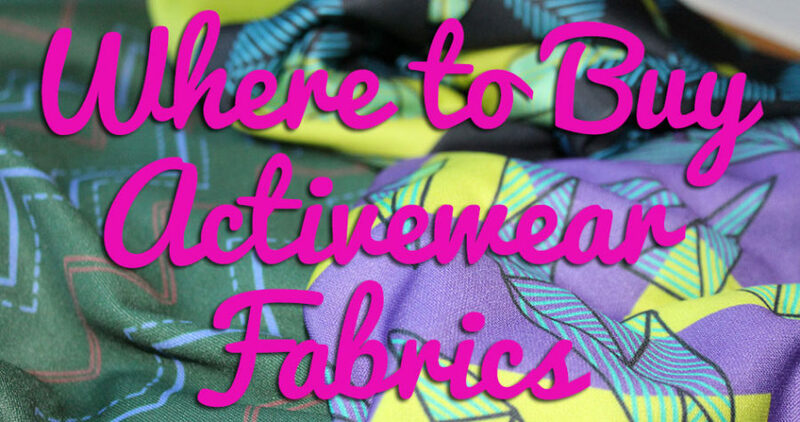 The patterns come on tissue and are printed in such a way that they don’t overlap each other so you could cut the out rather than trace if you’re that way inclined. 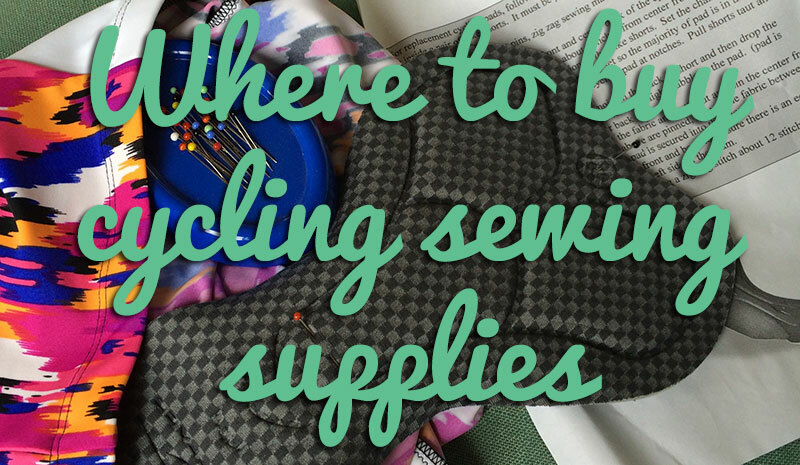 They don’t contain seam allowances, which is the norm everywhere except the US. The last time I bought an issue was two years ago when we were in France but I think I prefer the designs in this one even to that. 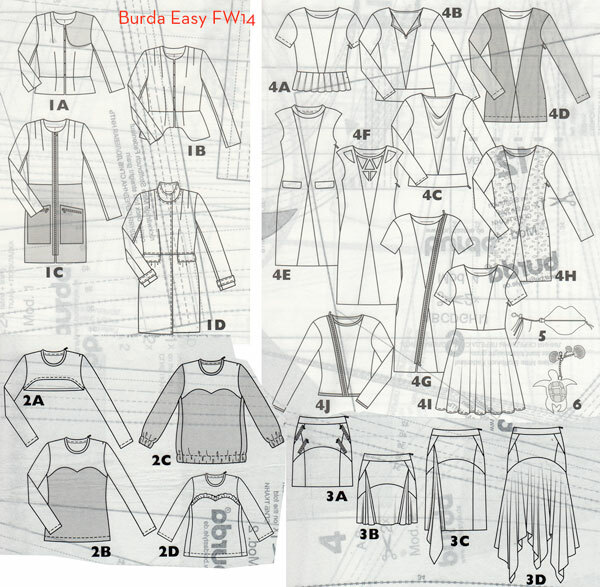 Burda Easy really only provide four base patterns, then spin a huge amount of variations off of those, so you can get a pretty wide variety of looks (also helpful if you need to do things like an FBA, you only need to do them once!). First up – I’ve cooled off the peplum look rather a lot by now, but I really like the paneled pencil skirt (either with the asymmetric godet or not). 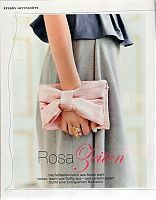 I thought this foldover clutch with the bow detail was really cute – it’s explained in a series of colour photos on the facing page, and it’s only rectangles so doesn’t require any tracing, either. Here’s another variation on the seamed pencil skirt, but this time it’s shorter and with more godets inserted to give it more of a skater skirt shape. I also like the look of the colourblocked tee, but not being a sweetheart neckline kind of woman, I’d personally smooth out the point so it’s just a curve over the bust. 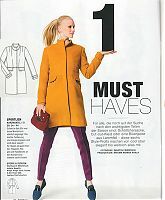 Love this coat! The colour, the cut, the shoulder shaping, the collar, everything! 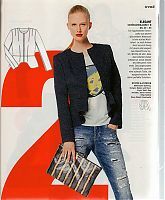 The jacket from the cover is the same base pattern as the coat above, but with a great cutout panel from the waist seam. I can’t stand the clichéd Chanel jacket, but I think this would be a much fresher alternative, made up in bouclé or tweed. Here they’ve taken the diagonal-seamed base pattern, lengthened it into a dress, and really gone crazy with the geometric cut-outs at the neckline! 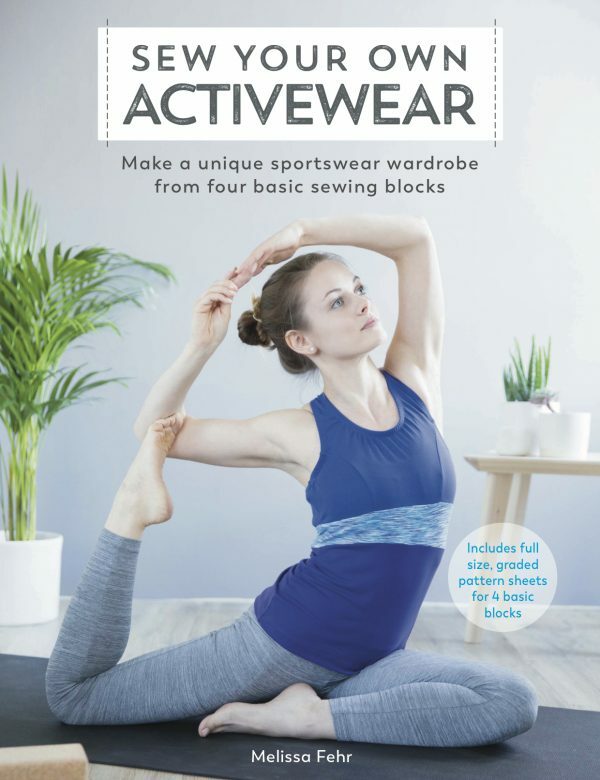 I really like the cut-outs, but I think I personally would get more wear from a top than a dress – the nice thing about the patterns here is that it’s easy to swap in details from different variations and build your own. There were a few inspirational articles included in the magazine, too – an article on Berlin vintage shops (much more useful to me while I was in Berlin! 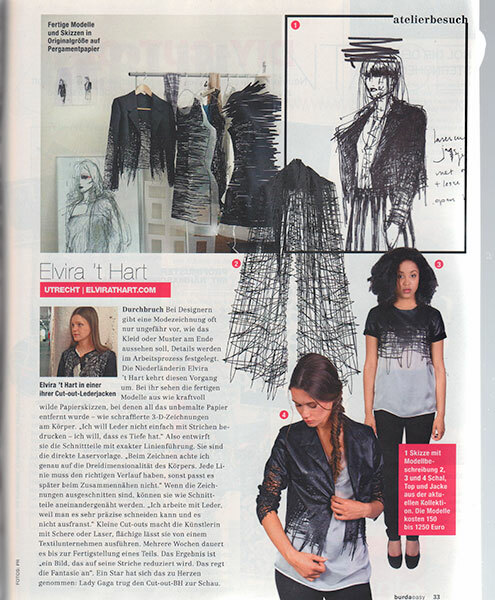 ), plus this feature on a Dutch designer would has a really cool scribbly style (enlarge the photo to see the jacket in the bottom right!). 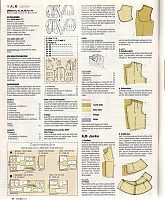 Burda Easy doesn’t have a nice “At A Glance” page to scan for my records like the monthly magazine, so I created my own from the overviews on each of the tissue sheets. The advantage here is that you can easily see what styles are included on each sheet without unfolding them all, but the downside is that the tissue is so thin you get a lot of bleedthrough of other lines. And finally, I wanted to show you an example of the instructions, which all contain coloured illustrations and make it much more easy to understand (even if you don’t speak German, like me). 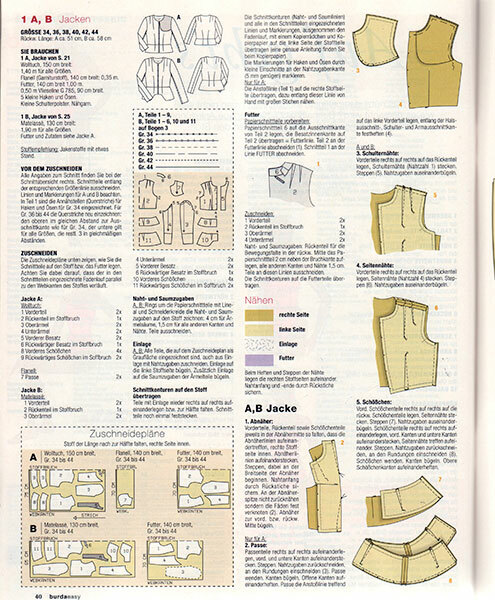 These are similar to the illustrated instructions in the glossy part of the monthly magazine that Burda have been including over the past year or so. 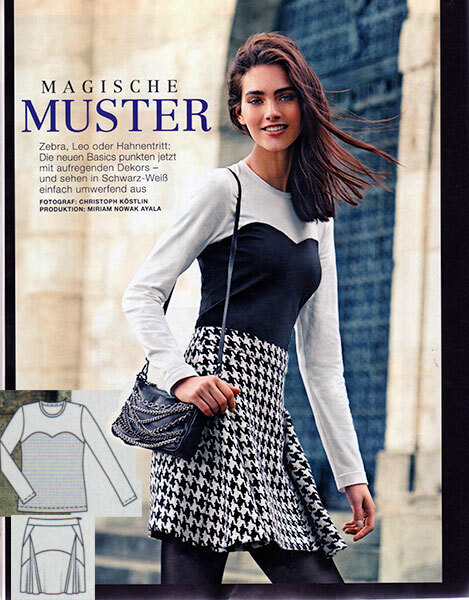 This issue of Burda Easy is available to buy now, in English from GLP in the USA or Newsstand in the UK or you can have a look at all the designs on the Russian BurdaStyle site.